Kate in the Kitchen — Cake!? What's happening?? 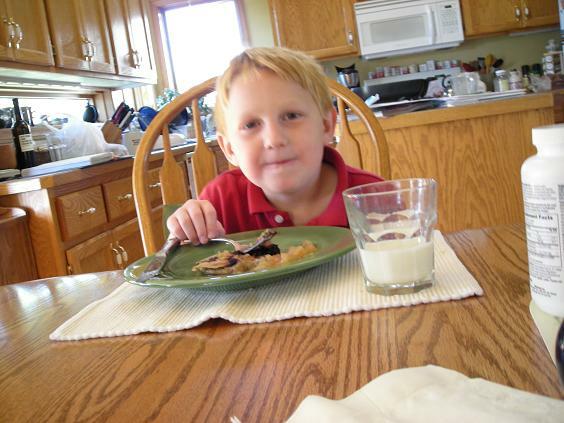 Let me tell you about my nephew Matt, or as he likes to refer to himself ‘my second son’. 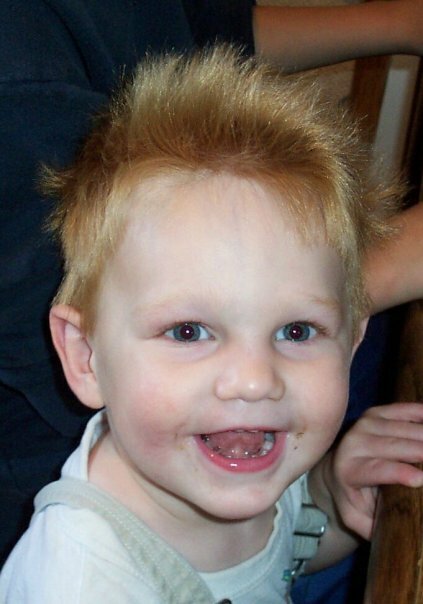 Matt is nine, with light red hair and an adorable grin that’s going through its ‘Jack-O-Lantern’ phase, losing his baby teeth and replacing them with Chiklet chompers. He has a personality that just lights up a room. Last summer, he spent so much time at my house hanging out with Griffin, sleeping over and basically insinuating himself into our lives that it stopped surprising me to find him sprawled on the sofa with my own child, coming out of the bathroom in the early morning hours or pulling up a chair at mealtime. He became a permanent fixture, and when September rolled around, I missed him like crazy. See, he always associated cake with celebration, and this was just another typical summer weekend for our extended family. But the sight of that cake was enough to send him into shivers, with the wonder of his age bringing forth a now most cherished family quote. Rarely does a real celebratory event pass where someone doesn’t exclaim “Cake! What’s happening! ?” when dessert is being served. I’m not one to make a lot of cake. Special occasions aside, cake is just too tempting in this house, and should there be a plate of delicious moist cake hiding out under the domed cake holder, it slowly gets whittled away through furtive slips of a knife, while telltale crumbs are disposed of as sweet tooth cravings are duly satisfied. My family has no willpower. And neither do I. It’s best that we just leave cake to those special occasions where it can be appreciated in a quick burst of sugar joy and then forgotten. I think it leads to a better cake appreciation factor. On a whole other level, cakes that fall outside the ordinary of the flour, butter and sugar world have quite a different effect on me, hence the siren pull of this Nectarine Ginger Cake. 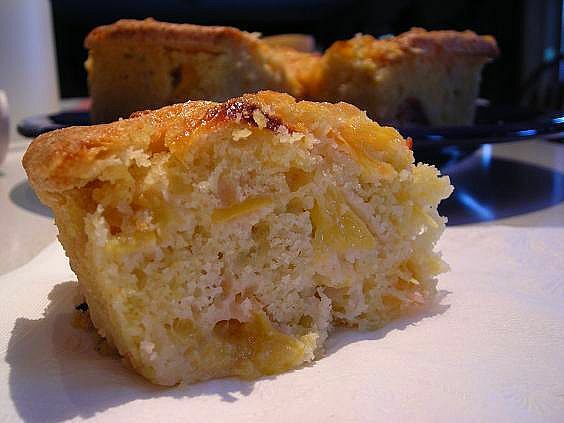 With an unusual (at least for cake) recipe, lots of ripe fruit and a one-bowl and pan deal, this was a cake that I knew wouldn’t languish under the cake dome once we got our cake-ness fill, especially given the fact that the recipe mentions this being a perfect breakfast, snack AND dessert option. Cake with multiple personalities should be on everyone’s To-Do list. Who am I to argue with lemon zest, olive oil, crystallized ginger- this is cake?- not to mention using one bowl, getting to cut into fragrant nectarines and all that finished off with an aroma of baking cake that rose from my oven like a treasure trove slowly displaying its riches. I’m so there. Even with a few fundamental flaws in the recipe (which are totally correctable and well worth a repeat- I’ll spare you the same issues) this cake was a hit. Now, admittedly, I’ve never made a cake with olive oil and whoa, tell me why I waited so long? That won’t be happening again. The subtle flavor of this moist and tender cake was only a part of it’s beauty; this cake sang like the Spring days outside my window. It was fresh and incredibly light with a nice browned crunchy top full of chewy nectarine slices and tiny dots of candied ginger. And about that breakfast option? I might just have to pour another cup of coffee and check that out. I mean, you need all the exquisite details, don’t you? I would be a bad blogger to leave them out. So what did go wrong with this, as I hinted to? For one thing, again I didn’t trust my culinary instinct and when I read some things in the directions that just didn’t sound right, I went with them anyway and had some issues. The temperature called for was 375°, which to me seemed a bit hot for a cake. Most cake recipes I’ve used require 350°. The cake pan called for was way too small, and I knew it but didn’t scrape out the batter into a bigger one. At least I put the pan on a foil lined cookie sheet. First instinct ignored, and I fumed as I watched it bubble over. 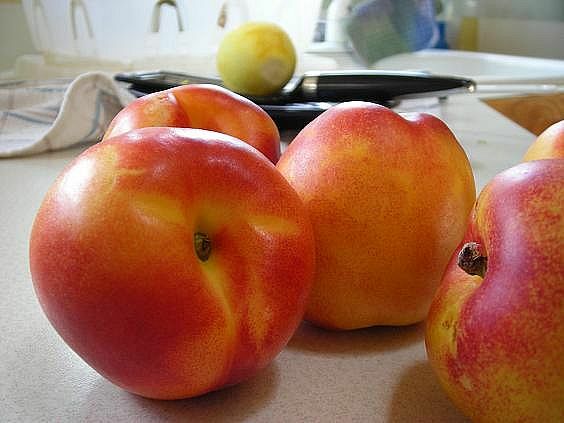 Secondly, it called for 5 large nectarines, four of them diced. Folks, that’s a lot of fruit, and this cake needed a 9″ pan. I used barely four and got a super fruit-filled result which is fine; the snack of the leftover fruit held off my cake-hunger, but if you’re making cake- that fluffy concoction of flour and sugar- it’s good to actually have something cake-like in the finished results. Other than that, the recipe is indeed very simple. While it calls for ground ginger in the batter, I think that fresh grated would taste better. I detected little ginger taste in the end result. The lemon zest is amazing, people, and do yourself a favor; slip a few tablespoons of juice into the batter. Your taste buds will high-five you in joy. Preheat oven to 350°. For your cake pan options, the original recipe called for a 9-inch round cake pan with a removable bottom. This is entirely too small so don’t do it, unless your pan is higher than normal. I started to use an angel food cake pan and decided against it. Then I kicked myself as the cake poured out while baking. A 9 x 13 would work well too, with a slightly shorter end result. Whatever pan you use, spray it and sprinkle a little sugar in to coat. In a large bowl, whisk eggs, milk and oil until emulsified. Add in all the lemon zest and juice and blend well. Stir in the sugar and fresh ginger. Seperately, blend flour, baking powder and salt then stir into wet ingredients until just barely incorporated. 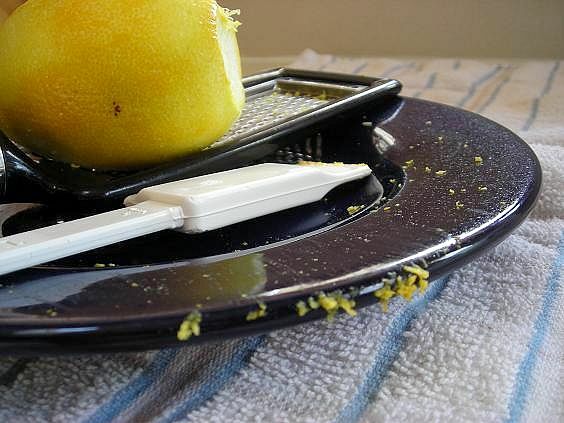 Fold in diced fruit gently. Pour batter into prepared pan. Arrange nectarine slices on top and scatter crystallized ginger over that. 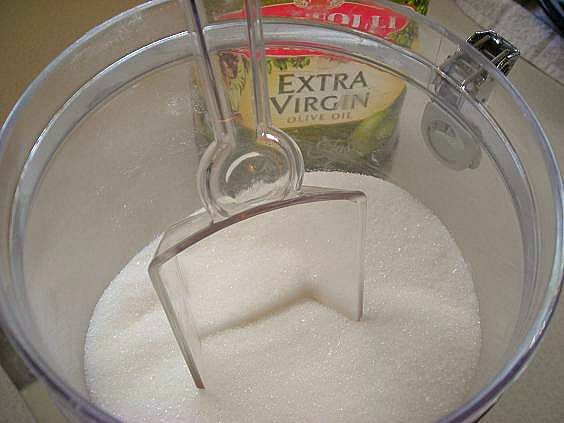 Sprinkle with about two tablespoons of sugar, either white or something fancier. I think raw sugar would be awesome. I’ve been gifted with a divine pistachio sugar, and I’m almost inventing excuses to use it. Bake until cake top is nicely golden brown and cake springs back when touched- about 45-60 minutes (See Notes). Be careful if you touch the cake top- the candied ginger gets really hot! The toothpick method will work as well. Allow to cool, or serve warm. 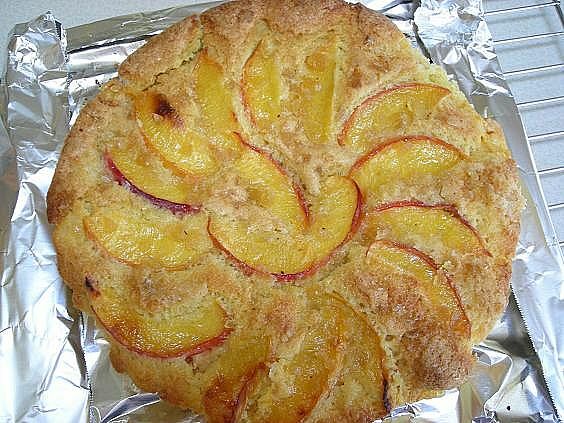 Depending on the freshness and juice level of your nectarines, this cake’s cooking time could vary. Be sure to check starting around the 45 minute mark. If the top is browning too much, place some foil over it. This cake looks amazing! And it doesn’t look like anything went wrong with it. I love nectarines and simple, dense cakes and JP adores fruit desserts. This one I’ll make (bigger pan, 350°). I have a couple recipes for cakes made with olive oil and maple syrup that are supposed to be lower in cholesterol. “Cake?! What’s happening?” Kids really do say the cutest things, don’t they. Love the post, Kate, and the cake. It’s a family trait that cakes disappear quickly. So how about making it for the next gathering, Kate?